This article is about the year 1963. For other uses, see 1963 (disambiguation). Wikimedia Commons has media related to 1963 . 1963 ( MCMLXIII ) was a common year starting on Tuesday of the Gregorian calendar , the 1963rd year of the Common Era (CE) and Anno Domini (AD) designations, the 963rd year of the 2nd millennium , the 63rd year of the 20th century , and the 4th year of the 1960s decade. 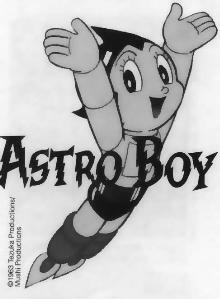 Osamu Tezuka's Tetsuwan Atomu (Astro Boy), Japan's first serialized animated series based on the popular manga, debuts on Japanese television station Fuji Television. Bogle–Chandler case: Commonwealth Scientific and Industrial Research Organisation scientist Dr. Gilbert Bogle and Mrs. Margaret Chandler are found dead (presumed poisoned), in bushland near the Lane Cove River, Sydney, Australia. The Camden railway line closes. The Bogle-Chandler case refers to the mysterious deaths of Dr. Gilbert Stanley Bogle (1924–1963) and Mrs Margaret Olive Chandler née Morphett (1934–1963) on the banks of the Lane Cove River in Sydney, Australia on 1 January 1963. The case became famous because of the circumstances in which the bodies were found and because the cause of death could not be established. 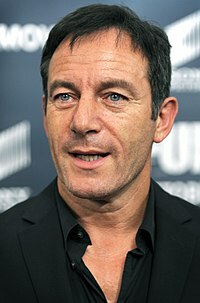 In 2006 a filmmaker discovered evidence to suggest the cause of death was hydrogen sulphide gas. In the early hours of January 1st an eruption of gas from the polluted river bed may have occurred, causing the noxious fumes to pool in deadly quantities in the grove. The Lane Cove River, a northern tributary of the Parramatta River, is a tide-dominated, drowned valley estuary west of Sydney Harbour, located in Sydney, New South Wales, Australia. The river is a tributary of the Parramatta River, winding through a bushland valley. It joins Parramatta River at Greenwich and Woolwich, where together they form an arm of Sydney Harbour. January 8: Mona Lisa in Washington, D.C.
January 2 – Vietnam War: The Viet Cong win their first major victory in the Battle of Ap Bac. 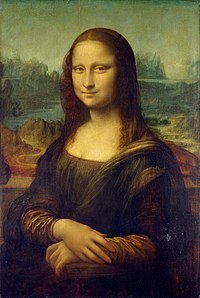 January 8 – Leonardo da Vinci's Mona Lisa is exhibited in the United States for the first time, at the National Gallery of Art in Washington, D.C.
January 13 - Coup d'état in Togo results in the assassination of president Sylvanus Olympio. The steam locomotive Flying Scotsman (British Railways No. 60103) makes its last scheduled run, before going into the hands of Alan Pegler for preservation. 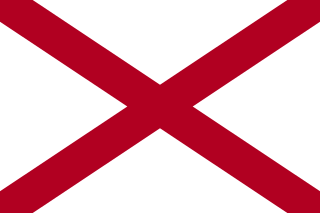 George Corley Wallace Jr. was the 45th Governor of Alabama, a position he occupied for four terms, during which he promoted "low-grade industrial development, low taxes, and trade schools". 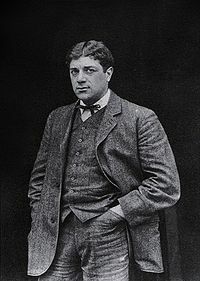 He sought the United States presidency as a Democrat three times, and once as an American Independent Party candidate, unsuccessfully each time. He is best remembered for his staunch segregationist and populist views. Wallace was known as "the most dangerous racist in America" and notoriously opposed desegregation and supported the policies of "Jim Crow" during the Civil Rights Movement, declaring in his 1963 inaugural address that he stood for "segregation now, segregation tomorrow, segregation forever". January 18 – Due to severe winter conditions the twelfth elfstedentocht skating tour in the Netherlands turns into an almost total disaster. Of the 9,294 participants only more than 60 manage to finish, making this the heaviest elfstedentocht ever held. January 22 – France and West Germany sign the Élysée Treaty. January 26 – The Australia Day shootings rock Perth; 2 people are shot dead and 3 others injured by Eric Edgar Cooke. January 28 – Black student Harvey Gantt enters Clemson University in South Carolina, the last U.S. state to hold out against racial integration. January 29 – French President Charles de Gaulle vetoes the United Kingdom's entry into the European Common Market. 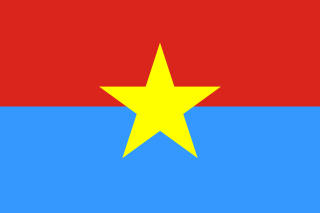 The Việt Cộng, also known as the National Liberation Front, was a mass political organization in South Vietnam and Cambodia with its own army – the People's Liberation Armed Forces of South Vietnam (PLAF) – that fought against the United States and South Vietnamese governments during the Vietnam War, eventually emerging on the winning side. It had both guerrilla and regular army units, as well as a network of cadres who organized peasants in the territory it controlled. Many soldiers were recruited in South Vietnam, but others were attached to the People's Army of Vietnam (PAVN), the regular North Vietnamese army. During the war, communists and anti-war activists insisted the Việt Cộng was an insurgency indigenous to the South, while the U.S. and South Vietnamese governments portrayed the group as a tool of Hanoi. Although the terminology distinguishes northerners from the southerners, communist forces were under a single command structure set up in 1958. February 5 – The European Court of Justice's ruling in Van Gend en Loos v Nederlandse Administratie der Belastingen establishes the principle of direct effect, one of the basic tenets of European Union law. 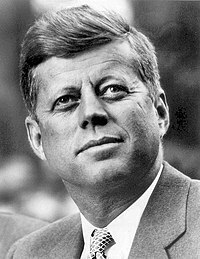 February 8 – Travel, financial and commercial transactions by United States citizens to Cuba are made illegal by the John F. Kennedy Administration. February 10 – Five Japanese cities located on the northernmost part of Kyūshū are merged and become the city of Kitakyūshū, with a population of more than 1 million. The Central Intelligence Agency's Domestic Operations Division is created in the United States. The Beatles record their debut album Please Please Me in a single day at the Abbey Road Studios in London. American-born poet Sylvia Plath commits suicide in London. February 12 – Northwest Airlines Flight 705 crashes in the Florida Everglades, killing all 43 aboard. February 14 – Harold Wilson becomes leader of the opposition Labour Party in the United Kingdom;  in October 1964 he becomes prime minister. February 19 – The publication of Betty Friedan's The Feminine Mystique launches the reawakening of the Women's Movement in the United States as women's organizations and consciousness raising groups spread. February 21 – The 5.6 Mw Marj earthquake affected northern Libya with a maximum Mercalli intensity of VIII (Severe), causing 290–375 deaths and 375–500 injuries. Juan Bosch takes office as the 41st president of the Dominican Republic. Female suffrage is enacted in Iran. February 28 – Dorothy Schiff resigns from the New York Newspaper Publishers' Association, feeling that the city needs at least one paper as New York's 83-day newspaper strike ensued. Her paper, the New York Post , resumes publication on March 4. The European Court of Justice (ECJ), officially just the Court of Justice, is the supreme court of the European Union in matters of European Union law. As a part of the Court of Justice of the European Union it is tasked with interpreting EU law and ensuring its equal application across all EU member states. March – The divorce case of The Duke and Duchess of Argyll causes scandal in the United Kingdom. March 4 – In Paris, six people are sentenced to death for conspiring to assassinate President Charles de Gaulle. De Gaulle pardons five, but the other conspirator, Jean Bastien-Thiry, is executed by firing squad several days later. March 5 – In Camden, Tennessee, country music superstar Patsy Cline (Virginia Patterson Hensley) is killed in a plane crash along with fellow performers Hawkshaw Hawkins, Cowboy Copas and Cline's manager and pilot Randy Hughes, while returning from a benefit performance in Kansas City, Kansas, for country radio disc jockey "Cactus" Jack Call. March 17 – Mount Agung erupts on Bali, killing approximately 1,500. March 18 – Gideon v. Wainwright : The Supreme Court of the United States rules that state courts are required to provide counsel in criminal cases for defendants who cannot afford to pay their own attorneys. March 21 – The Alcatraz Federal Penitentiary on Alcatraz Island in San Francisco Bay closes; the last 27 prisoners are transferred elsewhere at the order of United States Attorney General Robert F. Kennedy. March 22 – The Beatles release their first album, Please Please Me , in the United Kingdom. March 23 –Dansevise by Grethe & Jørgen Ingmann (music by Otto Francker, text by Sejr Volmer-Sørensen) wins the Eurovision Song Contest 1963 for Denmark. March 27: British Rail network, as it would have become, if "Beeching axe" plans had been fully implemented (only bolded rail lines would have remained). March 27 – In Britain, Dr. Richard Beeching issues a report, The Reshaping of British Railways, calling for huge cuts to the country's rail network. March 28 – Director Alfred Hitchcock's film The Birds is released in the United States. March 31 – The 1962–63 New York City newspaper strike ends after 114 days. April 1 – The long-running soap opera General Hospital debuts on ABC Television in the United States. April 3 – Southern Christian Leadership Conference volunteers kick off the Birmingham campaign (Birmingham, Alabama) against racial segregation in the United States with a sit-in. April 7 – Yugoslavia is proclaimed to be a socialist republic, and Josip Broz Tito is named President for Life. April 8 – The 35th Academy Awards ceremony is held. Lawrence of Arabia wins Best Picture. April 9 – British statesman Sir Winston Churchill becomes an honorary citizen of the United States. April 10 – The U.S. nuclear submarine Thresher sinks 220 mi (190 nmi; 350 km) east of Cape Cod; all 129 aboard (112 crewmen plus yard personnel) die. April 11 – Pope John XXIII issues his final encyclical, Pacem in terris , entitled On Establishing Universal Peace in Truth, Justice, Charity and Liberty,  the first papal encyclical addressed to "all men of good will", rather than to Roman Catholics only. Martin Luther King Jr., Ralph Abernathy, Fred Shuttlesworth and others are arrested in a Birmingham, Alabama protest for "parading without a permit". The Soviet nuclear powered submarine K-33 collides with the Finnish merchant vessel M/S Finnclipper in the Danish Straits. Although severely damaged, both vessels make it to port. April 14 – The Institute of Mental Health (Belgrade) is established. April 15 – 70,000 marchers arrive in London from Aldermaston, to demonstrate against nuclear weapons. April 16 – Martin Luther King, Jr. issues his "Letter from Birmingham Jail". April 20 – In Quebec, Canada, members of the terrorist group Front de libération du Québec bomb a Canadian Army recruitment center, killing night watchman Wilfred V. O'Neill. April 21 – 23 – The first election of the Supreme Institution of the Bahá'í Faith (known as the Universal House of Justice, whose seat is at the Bahá'í World Centre on Mount Carmel in Haifa, Israel) is held. April 22 – Lester Bowles Pearson becomes the 14th Prime Minister of Canada. April 28 – 1963 general election is held in Italy. April 29 – Buddy Rogers (wrestler) becomes the first WWWF Champion. May 1 – The Coca-Cola Company introduces its first diet drink, Tab cola. Thousands of black people, many of them children, are arrested while protesting segregation in Birmingham, Alabama. Public Safety Commissioner Eugene "Bull" Connor later unleashes fire hoses and police dogs on the demonstrators. Berthold Seliger launches near Cuxhaven a 3-stage rocket with a maximum flight altitude of more than 62 miles (the only sounding rocket developed in Germany). May 4 – The Le Monde Theater fire in Dioirbel, Senegal kills 64. Dr. No , the first James Bond film, is shown in U.S. theaters. Huế Phật Đản shootings: The Army of the Republic of Vietnam opens fire on Buddhists who defy a ban on the flying of the Buddhist flag on Vesak, the birthday of Gautama Buddha, killing 9. Earlier, President Ngô Đình Diệm allowed the flying of the Vatican flag in honour of his brother, Archbishop Ngô Đình Thục, triggering the Buddhist crisis in South Vietnam. CVS Pharmacy opens in Lowell, Massachusetts. May 13 – A smallpox outbreak hits Stockholm, Sweden, lasting until July. May 14 – Kuwait becomes the 111th member of the United Nations. May 15 – Project Mercury: NASA launches Gordon Cooper on Mercury-Atlas 9, the last mission (on June 12 NASA Administrator James E. Webb tells Congress the program is complete). May 22 – A.C. Milan beats Benfica 2-1 at Wembley Stadium, London and wins the 1962–63 European Cup (football). May 23 – Fidel Castro visits the Soviet Union. May 25 – The Organisation of African Unity is established in Addis Ababa, Ethiopia. May 27 – The Freewheelin' Bob Dylan is singer-songwriter Bob Dylan's second studio album, and most influential, opening with the song "Blowin' in the Wind", released by Columbia Records in the United States. Huế chemical attacks: The Army of the Republic of Vietnam rains liquid chemicals on the heads of Buddhist protestors, injuring 67 people. The United States threatens to cut off aid to the regime of Ngô Đình Diệm. June 4 – President John F. Kennedy signs Executive Order 11110, authorizing the Secretary of the Treasury to issue silver certificates. June 5 – The first annual National Hockey League Entry Draft is held in Montreal. June 10 – President John F. Kennedy delivers his American University speech, "A Strategy of Peace", in Washington, D.C.
June 10 – The University of Central Florida is established by the Florida legislature. June 10 – President John F. Kennedy signed the Equal Pay Act into law. 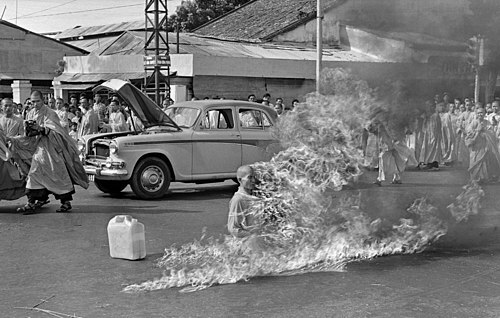 In Saigon, Buddhist monk Thích Quảng Đức commits self-immolation to protest the oppression of Buddhists by the Ngô Đình Diệm administration. 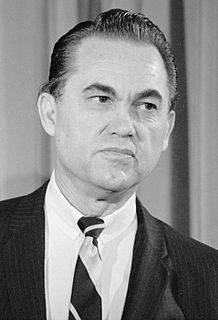 Alabama Governor George Wallace stands in the door of the University of Alabama to protest against integration, before stepping aside and allowing black students James Hood and Vivian Malone to enroll. President John F. Kennedy broadcasts a historic Civil Rights Address, in which he promises a Civil Rights Bill, and asks for "the kind of equality of treatment that we would want for ourselves". The film Cleopatra is released. The cancellation of Mercury-Atlas 10 effectively ends the United States' manned spaceflight Project Mercury. The New York Commodity Exchange begins trading silver futures contracts. June 15 – The AC Cobra makes its first appearance at the 24 Hours of Le Mans. It would go on to win its class the following year. June 16 – Vostok 6 carries Soviet cosmonaut Valentina Tereshkova, the first woman into space. June 17 – Abington School District v. Schempp : The U.S. Supreme Court rules that state-mandated Bible reading in public schools is unconstitutional. June 19 – Valentina Tereshkova the first woman in space, returns to Earth. Swedish Air Force Colonel Stig Wennerström is arrested as a spy for the Soviet Union. June 21 – Pope Paul VI (Giovanni Battista Montini) succeeds Pope John XXIII as the 262nd pope. June 23 – Walt Disney's Enchanted Tiki Room opens at Disneyland, premiering the first Audio-Animatronics in the park. June 26 – John F. Kennedy gives his "Ich bin ein Berliner" speech in West Berlin, East Germany. July 1 – ZIP codes are introduced by the United States Postal Service. July 5 – Diplomatic relations between the Israeli and the Japanese governments are raised to embassy level. July 7 – Double Seven Day scuffle: Secret police loyal to Ngô Đình Nhu, brother of President Ngô Đình Diệm, attack American journalists including Peter Arnett and David Halberstam at a demonstration during the Buddhist crisis in South Vietnam. July 11 – South Africa: police raid Liliesleaf Farm to the north of Johannesburg, arresting a group of African National Congress leaders. July 12 – Pauline Reade (16) is abducted by Ian Brady and Myra Hindley in Manchester, England, the first victim of the Moors murders; her remains are located in July 1987. July 19 – American test pilot Joe Walker, flying the X-15, reaches an altitude of 65.8 miles (105.9 kilometers), making it a sub-orbital spaceflight by recognized international standards. An earthquake in Skopje, Yugoslavia (present-day Republic of Macedonia) leaves 1,800 dead. NASA launches Syncom 2, the world's first geostationary (synchronous) satellite. July 30 – The Soviet newspaper Izvestia reports that British diplomat and double agent Kim Philby has been given asylum in Moscow. August 8 – The Great Train Robbery takes place in Buckinghamshire, England. August 15 – Trois Glorieuses : President Fulbert Youlou is overthrown in the Republic of Congo after a three-day uprising in the capital, Brazzaville. August 18 – American civil rights movement: James Meredith becomes the first black person to graduate from the University of Mississippi. August 21 – Xá Lợi Pagoda raids: The Army of the Republic of Vietnam Special Forces loyal to Ngô Đình Nhu, brother of President Ngô Đình Diệm, vandalise Buddhist pagodas across South Vietnam, arresting thousands and leaving an estimated hundreds dead. In the wake of the raids, the Kennedy administration by Cable 243 orders the United States Embassy, Saigon to explore alternative leadership in the country, opening the way towards a coup against Diệm. August 22 – American test pilot Joe Walker again achieves a sub-orbital spaceflight according to international standards, this time by piloting the X-15 to an altitude of 67.0 miles (107.8 kilometers). August 28 – Martin Luther King Jr. delivers his "I Have a Dream" speech on the steps of the Lincoln Memorial to an audience of at least 250,000, during the March on Washington for Jobs and Freedom. It is, at that point, the single largest protest in American history. September 1 – Establishment of language areas and facilities in Belgium comes into effect. This will become the foundation for further state reform in Belgium. September 5 – British showgirl Christine Keeler is arrested for perjury for her part in the Profumo affair. On December 6 she is sentenced to 9 months in prison. September 6 – The Centre for International Intellectual Property Studies (CEIPI) is founded. September 7 – The Pro Football Hall of Fame opens in Canton, Ohio with 17 charter members. September 10 – Sicilian Mafia boss Bernardo Provenzano is indicted for murder (he is captured 43 years later, on April 11, 2006). September 15 – American civil rights movement: The 16th Street Baptist Church bombing, in Birmingham, Alabama, kills 4 and injures 22. September 16 – Malaysia is formed through the merging of the Federation of Malaya and the British crown colony of Singapore, North Borneo (renamed Sabah) and Sarawak. September 18 – Rioters burn down the British Embassy in Jakarta, to protest the formation of Malaysia. September 23 – King Fahd University of Petroleum and Minerals is established by a Saudi Royal Decree as the College of Petroleum and Minerals. September 24 – The United States Senate ratifies the Partial Nuclear Test Ban Treaty. The Denning Report on the Profumo affair is published in Great Britain. In the Dominican Republic, Juan Bosch is deposed by a coup d'état led by the military with civilian support. The second period of the Second Vatican Council in Rome opens. The University of East Anglia is established in Norwich, England. October 1 – U.S. President John F. Kennedy toasts Emperor Haile Selassie at a luncheon in Rockville, Maryland. Nigeria becomes a republic; The 1st Republican Constitution is established. The Presidential Commission on the Status of Women in the United States issues its final reports to President Kennedy. October 3 – 1963 Honduran coup d'état: A violent coup in Honduras pre-empts the October 13 election, ends a period of reform under President Ramón Villeda Morales and begins two decades of military rule under General Oswaldo López Arellano. October 4 – Hurricane Flora, one of the worst Atlantic storms in history, hits Hispaniola and Cuba, killing nearly 7,000 people. October 8 – Sam Cooke and his band are arrested after trying to register at a "whites only" motel in Louisiana. 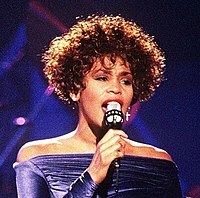 In the months following, he records the song "A Change Is Gonna Come". October 9 – In northeast Italy, over 2,000 people are killed when a large landslide behind the Vajont Dam causes a giant wave of water to overtop it. The second James Bond film, From Russia with Love , opens in the UK. October 14 – A revolution starts in Radfan, South Yemen, against British colonial rule. October 16 – The thousandth day of John F. Kennedy's presidency. October 19 – Alec Douglas-Home succeeds Harold Macmillan as Prime Minister of the United Kingdom. October 24 – Fire at the Soviet Union's Baikonur Cosmodrome in an R-9 Desna underground missile silo; seven people are killed. October 28 – Demolition of the 1910 Pennsylvania Station begins in New York City, continuing until 1966. October 30 – The car manufacturing firm Lamborghini is founded in Italy. October 31 – 74 die in a gas explosion during a Holiday on Ice show at the Indiana State Fair Coliseum in Indianapolis. November 1 – Arecibo Observatory, a radio telescope, officially begins operation in Puerto Rico. November 2 – 1963 South Vietnamese coup: Arrest and assassination of Ngo Dinh Diem, the South Vietnamese President. November 6 – 1963 South Vietnamese coup: Coup leader General Dương Văn Minh takes over as leader of South Vietnam. November 7 – 11 German miners are rescued from a collapsed mine after 14 days in what becomes known as the "Wunder von Lengede" ("miracle of Lengede"). November 8 – Finnair aircraft OH-LCA crashes before landing at Mariehamn Airport on the Åland Islands. Miike coal mine explosion: A coal mine explosion kills 458 and sends 839 carbon monoxide poisoning victims to hospital. Tsurumi rail accident: A triple train disaster in Yokohama kills 161. November 10 – Malcolm X makes an historic speech in Detroit, Michigan ("Message to the Grass Roots"). November 14 – A volcanic eruption under the sea near Iceland creates a new island, Surtsey. November 16 – A newspaper strike begins in Toledo, Ohio. November 18 – The first push-button telephone is made available to AT&T customers in the United States. 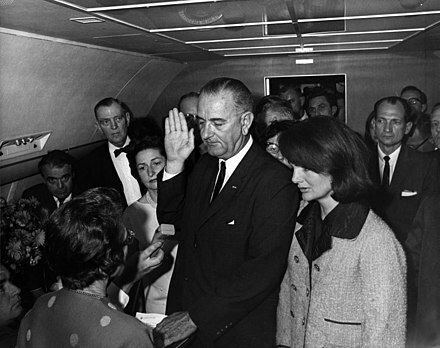 November 22: President Lyndon B. Johnson being sworn in, after assassination of John F. Kennedy. Assassination of John F. Kennedy: In a motorcade in Dallas, Texas, U.S. President John F. Kennedy is fatally shot by Lee Harvey Oswald, and Governor of Texas John Connally is seriously wounded. Upon Kennedy's death, Vice President Lyndon B. Johnson becomes the 36th President of the United States. A few hours later, President Johnson is sworn in aboard Air Force One, as Kennedy's body is flown back to Washington, D.C. Stores and businesses shut down for the next four days, in tribute. English-born writer Aldous Huxley, author of Brave New World , dies of cancer in the United States. Irish-born theologian and writer C. S. Lewis, author of works including The Chronicles of Narnia , The Screwtape Letters and Mere Christianity , dies of renal failure at his home in Oxford (England). Phil Spector's A Christmas Gift for You from Phil Spector is released. The Beatles' second UK album, With the Beatles , is released. Moors murders: John Kilbride (12) is abducted by Ian Brady and Myra Hindley in England. The Golden Age Nursing Home fire kills 63 elderly people near Fitchville, Ohio. Lee Harvey Oswald, assassin of John F. Kennedy, is shot dead by Jack Ruby in Dallas, an event seen on live national television. 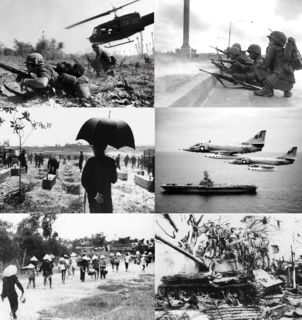 Vietnam War: New U.S. President Lyndon B. Johnson confirms that the United States intends to continue supporting South Vietnam militarily and economically. November 25 – State funeral of John F. Kennedy: President Kennedy is buried at Arlington National Cemetery. Schools around the nation cancel classes that day; millions watch the funeral on live international television. Lee Harvey Oswald's funeral takes place on the same day. U.S. President Lyndon B. Johnson establishes the Warren Commission to investigate the assassination of John F. Kennedy. Trans-Canada Air Lines Flight 831, a Douglas DC-8 crashes into a wooded hillside after taking-off from Dorval International Airport near Montreal, killing all 118 on board, the worst air disaster for many years in Canada's history. Foundation stone for Mirzapur Cadet College is laid in East Pakistan (present-day Bangladesh). December 3 – The Warren Commission begins its investigation into the assassination of John F. Kennedy. December 4 – The second period of the Second Vatican Council closes. December 5 – The Seliger Forschungs-und-Entwicklungsgesellschaft mbH demonstrates rockets for military use to military representatives of non-NATO-countries near Cuxhaven. Although these rockets land via parachute at the end of their flight and no allied laws are violated, the Soviet Union protests this action. December 7 – Tony Verna, a CBS-TV director, debuts an improved version of instant replay during his direction of a live televised sporting event, the Army–Navy Game of college football played in Philadelphia. This instance is notable as it was the first instant replay system to use videotape instead of film. A lightning strike causes the crash of Pan Am Flight 214 near Elkton, Maryland, killing 81 people. Frank Sinatra, Jr. is kidnapped at Harrah's Lake Tahoe. Zanzibar gains independence from the United Kingdom, as a constitutional monarchy under Sultan Jamshid bin Abdullah. In the United States, the X-20 Dyna-Soar spaceplane program is cancelled. Chuck Yeager narrowly escapes death while testing an NF-104A rocket-augmented aerospace trainer when his aircraft goes out of control at 108,700 feet (nearly 21 miles up) and crashes. He parachutes to safety at 8,500 feet after vainly battling to gain control of the powerless, rapidly falling craft. In this incident he becomes the first pilot to make an emergency ejection in the full pressure suit needed for high altitude flights. December 12 – Kenya gains independence from the United Kingdom, with Jomo Kenyatta as prime minister. Walt Disney releases his 18th feature-length animated motion picture The Sword in the Stone , about the boyhood of King Arthur. It is the penultimate animated film personally supervised by Disney. The 1955 film Oklahoma! , an adaptation of the famed Rodgers and Hammerstein musical, is re-released. ↑ "Timeline of George Wallace's Life, 1952–1972". The American Experience. Public Broadcasting Service. 2000. Retrieved 2013-03-21. ↑ Klarman, Michael J. (March–April 2004). "Brown v. Board: 40 Years Later". Humanities: The Magazine of the National Endowment for the Humanities . ↑ "Dallas: JFK is shot dead". Wolverhampton: Express & Star . Archived from the original on 2002-06-28. ↑ Tracker, "Footprints Tracker", August 2012, p. 46. ↑ Sacco, Ugo Colombo (1999). John Paul II and World Politics: 20 Years of a Search for a New Approach, 1978-1998. Peeters Publishers. p. 6. ↑ Larsen, Jeffrey A.; Smith, James M. (2005). "Hot Line Agreements (1963, 1971, 1984)". Historical Dictionary Of Arms Control And Disarmament. Scarecrow Press. p. 107. ↑ Kahn, David (1996). The Codebreakers: The Comprehensive History of Secret Communication from Ancient Times to the Internet. Simon and Schuster. p. 715. 1 2 "Treaty Banning Nuclear Weapon Tests in the Atmosphere, in Outer Space and Under Water". United Nations Office for Disarmament Affairs. 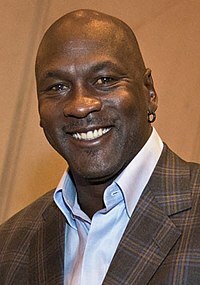 Retrieved 2018-10-10.